"I had been trying to make gains in exercise over the last 10+ years with only short-term success. In the last 3 months I’ve become more fit than I have been my entire life. Mike and the trainers at Q-Fitness are top-notch! They know I can go further and push harder than I believe, and help me go beyond my perceived limits. Knowing I can do more than I think, and seeing and feeling the gains I’ve made, has helped me in all areas of my life. I’m so grateful for the personal trainer sessions and try never to miss a class! I can’t wait to see how far I’ll be in 3 more months." "Since beginning group training I have made consistent, measurable progress. I am so grateful for the smart and creative trainers at Q Fitness!" "With the guidance and expertise of Mike and his staff I have been able to lose 15 lbs and 2 dress sizes in the last several months. Every 4 weeks a new fitness program was personally prepared for me and I was able to tone my figure and lose inches." "I am a serious high school athlete and I wanted to compete at the next level so I came to see Mike at Q Fitness. Mike does an excellent job keeping me motivated, focused, and making the workout seem fun. However, the best thing is that I can feel the difference when I compete. I can feel all the hard work paying off and I'm reminded that I am a better athlete thanks to Mike and Q Fitness."  "Q Fitness is an unbelievable gym. It has everything you could want, exclusivity, a low number of people working out at once, great trainers, and 24 hour access. When I started working out at Q Fitness I was benching around 55 pounds and am now able to bench 225 pounds. That is almost completely due to Mike’s training sessions and ability to motivate his clients."